At least it was to me as a child. Every time I pondered for any amount of time about being somewhere forever, an incredible aching formed in the pit of my stomach. An aching that would persist to the point of either nausea or panic attack, until I drove all thoughts of immortality out of my mind for the moment. I understood heaven was preferable to hell as far as eternity went, but I couldn’t fathom being anywhere for forever, no matter how celestially blissful it may be. 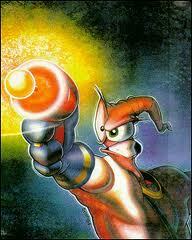 Even Earthworm Jim got old after you’ve beaten it for the seventeenth time, right? According to my concept of heaven, after a couple of years the monotony would be mind-boggling. The youth of one of the churches in Lilongwe asked me to share with them on the topic: “Staying hopeful when the world mistreats you.” What a topic! Searching the Scriptures, I came to the story of Joseph. Like our Lord Jesus, Joseph was also mistreated in various ways. However, one thing that kept him going even in the midst of the ill-treatment was forgiveness. This is clearly seen in Genesis 50:19. Joseph’s brothers lied to him that their father, before he died, had asked Joseph to forgive them for the mistreatment he suffered in their hands. Joseph’s response is amazing: “Do not fear, for am I in the place of God? As for you, you meant evil against me, but God meant it for good.” Wow! Joseph saw the hand of God in everything that happened to him. He knew that some things are beyond our control. Therefore, Joseph chose the way of forgiveness. Like our Lord Jesus Christ on the cross who asked his Father to forgive those crucifying him, Joseph also opted for forgiveness instead of bitterness or vengeance. I believe this is the way to go for God’s children. We can stay hopeful in times of ill-treatment when we pray that God through his grace should grant us a heart of forgiveness not vengeance or bitterness. After all, it is God alone who directs our footsteps in this world. This other evening I was sitting in a forum which I shall leave unnamed. The main discussion of the round-table was the ordination of women to be elders of a church and the main question posed to the meeting was: “Is ordaining women to be elders of a church biblical? There were about seventy of us discussing and only two of us including myself argued basing on Scripture that it is unbiblical for women to be ordained elders or even pastors. But I should confess, it was not easy to courageously stand for the biblical truth in an environment where many were against this view. For first time, I understood better how Jesus felt with the great opposition he faced, especially from the Pharisees and other teachers of the law, when he taught the truth. By this I don’t mean to compare myself to my beautiful Savior; rather, what I want to put across is that: Friends, it is more challenging to stand up for the truth when the majority opposes it, but thank God he grants the grace. Men! That statement scared me. I could feel the hair on my head rising in fear. I could not believe it, especially, coming from a leader of a church. I responded, “If, we don’t use the Scripture to discuss this issue what authority are we going to ascribe to. The authority of man? Our views and ideas? Lord, have mercy! “As Christians, don’t we have the Bible as our final rule of faith and life?” I thought to myself. Doesn’t God’s Word tell us: “All Scripture is breathed out by God and profitable for teaching, for reproof, for correction, and for training in righteousness, that the man of God may be competent, equipped for every good work” (2 Timothy 3:16). Any way, I have already highlighted that I am convinced beyond any reasonable doubt that Scripture teaches that only Christian men should be elders of a church. You, definitely, are asking me to back up my stand with Scripture and I will definitely do that. So, here we go. First, let’s look at the qualification of an elder as given by God himself in his Word in 1Timothy 3:1-4 and Titus 1:5-9. In these two passages an elder is being referred to using the pronoun “He.” Is this by accident? I don’t believe so. In the same passages, an elder is supposed to be “A husband of one wife.” Again, is this phrase accidental? Why is God not telling us “A husband of one wife or a wife of one husband?” Have you ever though about it? So, an elder is being referred to with a pronoun “He” and is supposed to be a “A husband of one wife.” Now, if I say that basing on this pronoun and phrase, God is telling us that an elder must be a man will I be reading too much into the passage? Certainly not! Secondly, if I open my Bible which is God’s inerrant and holy Word, I don’t find a single woman who held the position of an elder. Is this just by chance? I choose to not to believe it that way. Thirdly, when we talk about an elder, we are talking about the leadership of the church. Now, I would love us to learn from the early Church and see if women were given leadership roles like being an elder in the church. Let’s begin with the Founder of the New Testament Church, Jesus Christ who is also the Head of the Church (all believers come together). When Christ assembled the first ever leadership of His Church, he chose the twelve apostles (all men) and he ( a man as well) was the main leader. Did Jesus communicate any message by this? I believe so. He was establishing the norm for the Church to follow when it comes to the leadership of the church. And you can see this throughout the New Testament. The Apostles got the message of Christ right. But someone may object and say: “Jesus being a Jew and also because of his Jewish culture, he was forced to choose only men because his culture valued men more than women.” You must be kidding. That’s not the Jesus I know and read in Scripture. Do you really believe that Jesus (fully man and fully God) could be forced to do ‘a wrong’ thing because of desiring to please his culture? Sincerely, is that the picture of Jesus you get when you read your Bible? Jesus challenged his culture in so many ways and he was not afraid to look different when it came to truth. For instance, Rabbis (teachers of law) could not speak to women in public but Jesus could speak to women in public (John 4:1-45) and he even had Mary Magdalene as on of his followers. Jesus could also boldly rebuke the Pharisees and teachers of the law for misleading people and he once called them “blind guides” (Matthew 23:16) and “children of the devil” (John 8:44). With this clear manifestation of boldness, do you really believe that Jesus chose only men to be leaders of the Church because he wanted to please his culture? Allow me to borrow the words of Alexander Strauch to emphasize my point. “Some…say that Jesus’ maleness and choice of male apostles doesn’t mean anything theologically. They say that such choices were necessary because the first-century Jewish culture didn’t allow women to preach and lead. So Jesus had to concede to the standards of society. What an insult to Jesus! The Jesus of the Gospels was absolutely courageous. He was unafraid to give new, radical teaching to His tradition-bound culture. Jesus didn’t give in to sinful culture or let women down at this critical moment in history…Jesus gave His Church male leadership. His male gender and his deliberate choice of twelve male apostles was based on Genesis 2, God’s original creation design for the sexes” (Men and Women Equal Yet Different, Lewis and Roth Publishers ©1999, page 29). I can go on and on to present the backing for my stand; however, let me stop here for now. I am open and ready for further discussion on the topic if you, my dear reader, would love so. But before I wrap up let me highlight this important truth. The fact that God’s will for his Church is that it should be led by Christian men does not mean that women are unequal to men. Neither does it mean that women are of second class. Anyone who advocates this teaching is not biblical in their view. According to Scripture, men and women are equal (Genesis 1:27; Galatians 3:28); nevertheless, men and women have different roles. God in his sovereignty and wisdom has chosen to give the leadership role of the home and Church to Christian men. Again, this does not imply that men are better than women. God forbid! Before I became a Christian, I liked this singer’s tracks. After I became a Christian, I never stopped falling in love with this singer’s songs. Of course, Christians differ on how the view secular songs. Some are fine with some secular songs while others declare a complete shut out to to these songs. Any way, let’s not go into details about this because it can be another topic for another day. Then the news broke out that this artiste was no more. I was shocked. After the announcement I keenly followed the developments around the musician’s death and heard very sad stories. My heart broke even more because the stories that were emerging concerning the artiste’s last days on this earth were very cheerless. I almost cried but remembered that there was nothing I could have done. “It is appointed for man to die once, and after that comes judgment” (Hebrews 9:27). I should point it out here that I don’t know the artiste’s spiritual stand when the singer died hence I don’t want to speculate. Any way, this is one of the secrets of our life. We don’t know when our time will be up and the Lord will call us. The other disheartening thing is that sometimes when we have taken a path that leads to destruction, we hardly realize it. Now and then friends or other Christians will share the gospel with us but it will seem nonsensical. I pray that the Lord will help us to “Number our days that we may gain a heart of wisdom” (Psalm 90:12). For sure, this one life is very short, very short indeed. Today we are here on earth, tomorrow, we are no more. Blessed are the dead who die in the Lord from now on” “Blessed indeed,” says the Spirit, “that they may rest from their labors, for their deeds follow them!” (Revelation 14:13). Amen! My heart breaks when I hear of death of people who experienced the love of God in their lives but did not submit themselves to the Lordship of Jesus. I am talking about people who heard the Gospel many times in their lives. They also participated in godly activities in their home, at church or any other Christian set-up and yet they did not yield to the Lordship of Christ. It is heart-breaking, is it not? Indeed it’s only one life and it is very short. May God help us to live this life meaningfully by seeking to honor and glorify Him in everything we do. By his grace, we will be able to do this. Now this has serious implications for our Christian life. But may be before we talk about the implications; let’s define ‘revelation’ so that we are all on same page. Some people sincerely confuse ‘revelation’ with illumination. When they are reading a Biblical passage and the Holy Spirit opens their mind to understand the passage better, they end up calling that revelation. However, this is not revelation; it is what is called illumination in theology. So, how is revelation different from illumination? Revelation is an act of God whereby he made known his truth and will to his people. This truth and will eventually ended up being recorded for us in Scripture. Illumination is an act of God whereby through the Holy Spirit he enables us to grasp and understand his revealed truth. 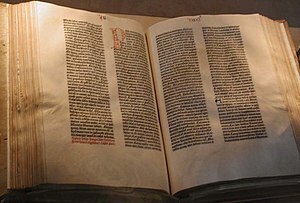 Let me add here that revelation ceased when the Bible (66 books) was compiled for us. what they are saying is as good as the words of the Bible. Remember, the Bible is a recording of God’s Word that God spoke to his Prophets and Apostles through the Holy Spirit (2 Timothy 3:16). Now, how many of us can really stand up and declare that what these special “men or women of God” say should be treated with the same reverence we treat the Bible with? Or to put it in other words, if these men or women of God are to record whatever they say that God has told them in a book, will you really say that their book is at par with the Bible? Do you see now why I say that ‘revelations’ have very serious implications to our Christian life? Revelation: God revealing or making his truth known to mankind. Illumination: Our understanding and applying the truth in our everyday life. Revelation ceased. Inspiration ceased. Illumination continues to go on. Our need is not to find some source to give us God’s revelation. Nor is it our desire to locate someone ‘inspired of God’ through whom we can receive and record His message to us. Our need is to get hold of what has been written (in the Bible) and apply it regularly” (Italics added). So, there is no special revelation from God today because God’s full revelation is recorded for us in the Bible. What God has left us today is illumination. Let’s be satisfied with it. Always remember, “All secret things belong to the LORD our God, but the things that are revealed belong to us and to our children forever that we may do all the words of this law” (Deuteronomy 29:29). One of the main challenges that the church has faced over the centuries is that of false teachers and prophets. Even today, the church is not immune to them. The most challenging thing is that these false teachers and prophets come in sheep’s skin so that it’s hard to recognize them at first sight. This important truth should always been borne in mind by every Christian. False teacher or prophets do not come giving out brochures and declaring to you that they are fake teachers. They don’t blow trumpets and proclaim on top of their voice that there are bogus prophets neither do they put on badges on their coats marked with brighter colors “False Teacher or Prophet.” They all come as angels of light. By this I don’t intend to encourage that you doubt every servant of God but with godly wisdom observe their fruits. For sure this truth remains: false teachers will always be with us but thank God they cannot fool God. “But you beloved, build yourself up in your most holy faith; pray in the Holy Spirit; keep yourselves in the love of God, waiting for the mercy of our Lord Jesus Christ that leads to eternal life,” (Jude 20).